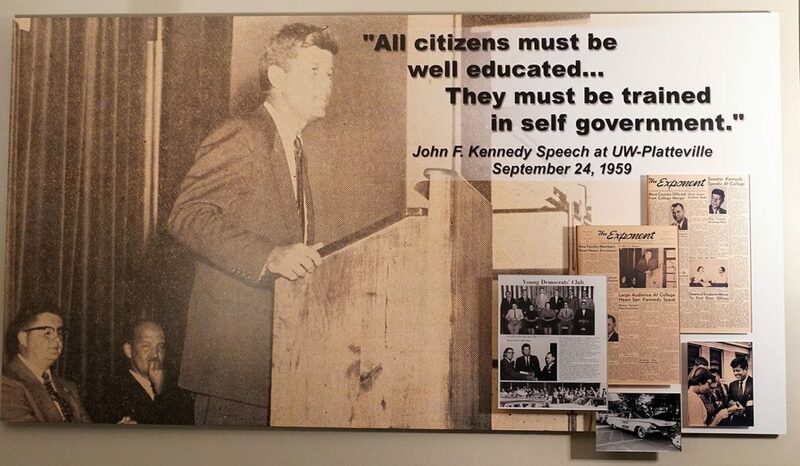 One piece of the school’s history occurred in 1959 when John F. Kennedy conducted a lecture at the university. 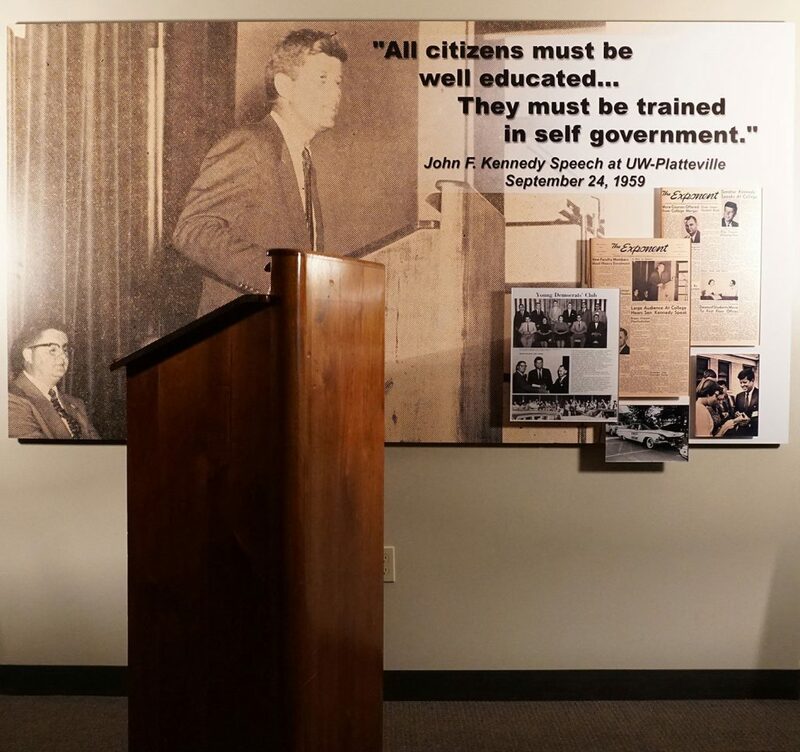 To commemorate his appearance, a display was created featuring his lectern, an article and photography of him speaking. The display was created by the print experts at Artisan HD who specified ½” Gatorfoam bard. The foam board was direct printed and serves as the display’s main background. Artisan chose to use a series of Kodak Metallic prints that were mounted to acrylic and adhered to the foam board using various custom depths of Gatorfoam spacers. This creates a layered effect that was further showcased with the use of a Museum Back framing upon installation. Gatorfoam is a high-performance foam board comprised of extruded polystyrene foam bonded between two layers of wood-fiber veneer. Made in the US, Gatorfoam/Gatorboard is both dent and scratch resistance, making it the perfect material for interior displays.